WHAT do you want for dinner? It's a simple question but at the end of a long day, it can be enough to do your head in. For the busy mum or dad trying to come up with a meal to please everyone, it can be near impossible. When you think that the average person makes a staggering 35,000 decisions a day, you can understand the brain fatigue by dinnertime. So what if your fridge's artificial intelligence could help make those decisions for you, based on what's already in the fridge and your food preferences? But what if it went much further than that, helping to bring family and school schedules together, allow for the exchange of photos and notes, or dim the lights or change the air conditioning settings based on the user profile of the voice in the room. 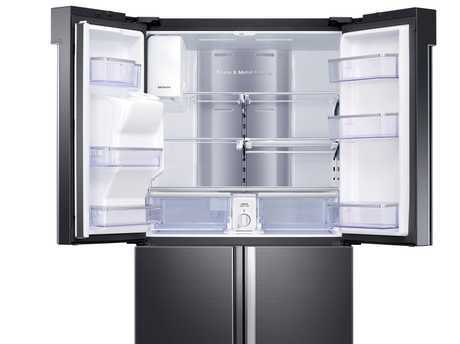 Beyond the fridge, how about you walk into your lounge, turn the TV on, and your favourite show is set to go? Samsung believes it is in a unique position to lead that smart home revolution given that it makes mobile phones, televisions, fridges, and washing machines that also talk to each other. But Smart Things revolution goes much further than that. 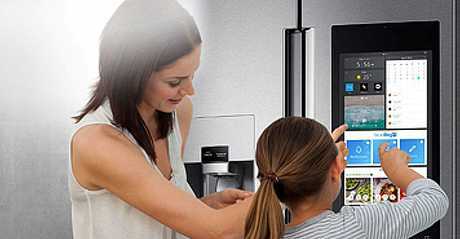 Samsung's Family Hub refrigerator is being used to help manage school schedules. The Korean tech giant already has 45 partners and 280 certified devices that will work with its open source system. Devices like lights, home security systems, audio platforms like Spotify and grocery orders through Woolworths are becoming part of the offering. Sunggy Koo, the vice president of Smart Appliances and Home IOT (Internet of Things), with the Family Hub smart fridge. We sat down with one of Samsung's brightest minds - Sunggy Koo, the vice president of Smart Appliances and Home IOT (Internet of Things) at IFA 2018 in Berlin. I asked him where he saw things going in the next five to 10 years. "I don't see 10 years out,'' he replies. But he says he believes there will be an explosion of smart homes around the world - including by developers of apartment blocks who can cut energy costs by installing better technology expected by millennials. Having smarter buildings, he said, would significantly cut management costs as well as increase the value of properties. 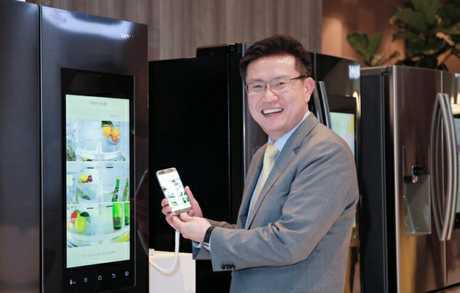 Koo is the brains behind the company's Family Hub refrigerator which has become one of the consumer rave success stories for the company, despite its $5000 plus price tag. 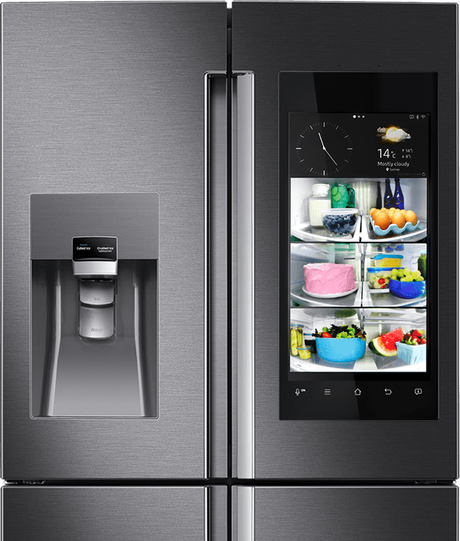 The latest third generation smart fridges feature voice activation, a 21 inch touch screen, and can be used for meal planning, online grocery shopping, screen mirroring and playing music and videos while you're waiting for the microwave to do its thing. One of the biggest appeals of the device is that it brings the family together - in the heart of the home. With food wastage in Australia costing about $10 billion a year, another selling point is that it helps consumers track food's expiry dates and suggests recipes based on what's already in your fridge. Currently, that has to be done manually but ultimately shopping scanners could make that process easier. Samsung is using similar money-saving technology in the laundry with its QuickDrive waching machines and dryers. They have a dual drum technology which promises to cut washing times in half. It can even create 'washing recipes' which optimise the types of items you have in your load. You can also control it from your phone - even if you're on the other side of the world. SO IS IOT JUST FOR TECHIES? The smart home has been talked about for more than a decade but looking through IFA 2018 in Berlin this week, you can see it is reaching a tipping point. Koo puts that down to the fact there has been a collaborative approach with providers - and the fact that Samsung has developed one interface to deal with multiple apps - making it a lot easier for consumers to navigate. There is similar approach with Samsung TVs one controller which helps users navigate everything from Netflix to Free to Air options on the one screen. Koo said a lot of work had also been done at the back end of various systems to ensure they work together seamlessly. For consumers, he knows that if it too hard to install or maintain, most won't bother. 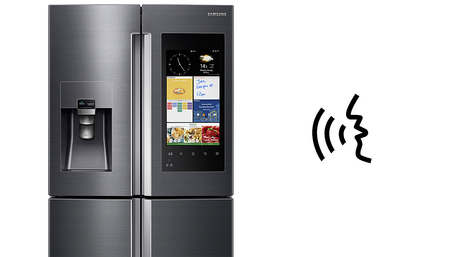 Family Hub 3.0 now features voice integration. The question remains for many, how much do we want to be sharing with companies like Facebook, Google, Apple, and Samsung about lives. Koo believes if there a lifestyle gains - like giving families more time to spend together, they will go for the technology. A big market he sees is millennials - many of who may not be able to afford to get their own home but expect some cool tech in their rentals. Samsung: With a 21.5-inch LED touch-screen serving as an interactive digital bulletin board, family members can share photos, access updated calendars or hand-write memos. SO WHAT'S THE RESPONSE BEEN LIKE IN AUSTRALIA? Jeremy Senior, director of Home Appliances at Samsung in Australia, said no other product in that division had created as much buzz among consumers as Family Hub. 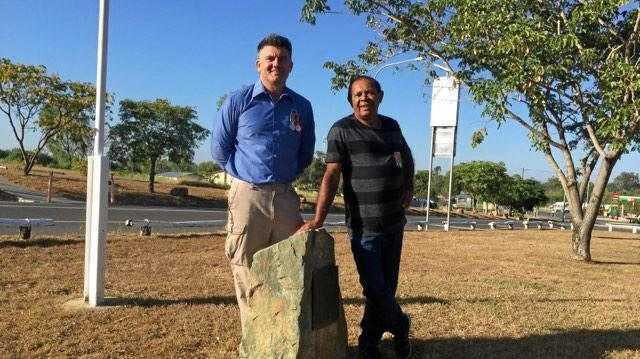 He said the functionality of the hub was continually expanding in Australia with the addition of apps like SkoolBag, which helps parents keep track of what's happening at their children's school. The SkoolBag app allows parents to submit absentee or permission slips, and receive notifications for upcoming events like swimming or athletics carnivals and parent teacher interviews. Both Koo and Senior say Samsung's consumer focus is simple - make the household chores easier, quicker and cheaper - so more time can be spent on the family. "It really has helped bring their family together. They spend a lot more time in the kitchen now because of Family Hub,'' Koo said. The writer attended IFA 2018 as a guest of Samsung.